By the end of the Napoleonic Wars in 1815, Britain was the undisputed master of the seas, owing to the power and strength of the Royal Navy. 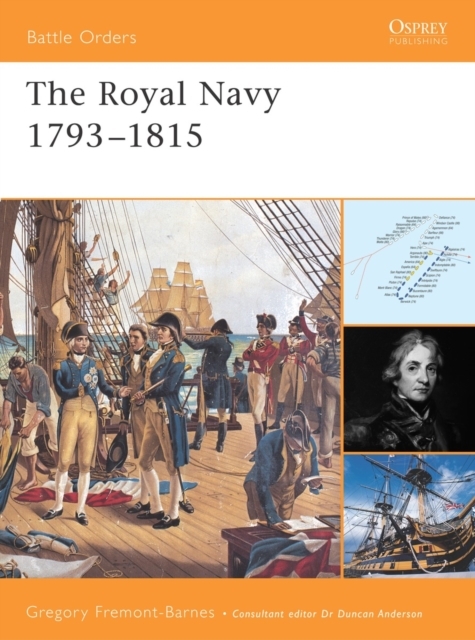 This book examines the commanders, men, and ships of the Royal Navy during the French Revolutionary and Napoleonic Wars, and discusses the Navy's command structure and its organisation at sea. Collection : Battle Orders S.